Hoo-Dog will come to the rescue of busy pooch parents as they take your baby for walks and adventures. And with all the love you’d give the doggos yourself! Feeling guilty that your dog is missing his/her walk because of your hectic work schedule? Worry no more, Hoo-Dog will come to your rescue. If your pooch needs more exercise, call these folks and they’ll pitch in happily. In addition to loving and caring for your pet as much as you would on these walks, they will give them the exercise they need to be healthy, active and fit. We’ve seen a host of doggos trooping along with the kind folks of Hoo-Dog and they look right at home! Phew! Finally a safe community you can trust to leave your precious babies with. Charges for dog walking starts from INR 99 per walk. This includes a 30 minute dog walk, poop cleanup, and hair brushing. Hoo-Dog also organised fun weekend events for you and your dogs. From party in the parks to adventurous outings that will make sure the pooches are running wild and free with the wind in their hair (OK, too dramatic? We’ll stop! ), it’s all about unleashing their inner free spirit. Getit? Unleash? Yeah! Prices for now, are INR 499, on Saturdays and Sundays. 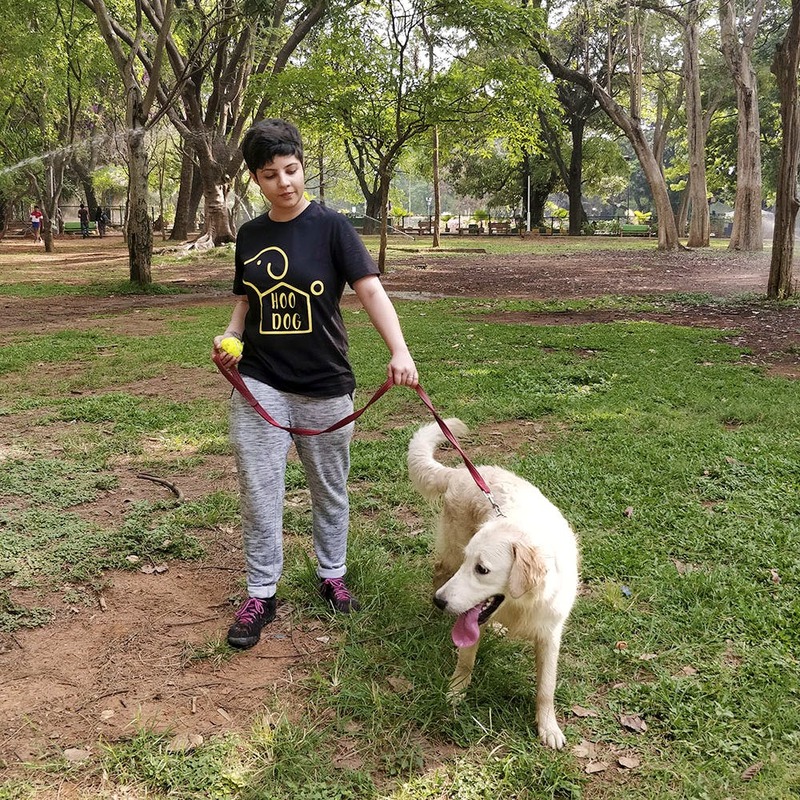 The price included a pick up and drop off of your pooch, the visit to Cubbon Park, play time with toys, doggo treats and snacks, socialising with other pets. If only someone organised this for hoomans too! If you're planning a trip out of town, and can't take your doggo along, they also do pet sitting. For a day, they will come over to your place, but if it is longer, then they host the pet at their own home. Currently offering this service in Indiranagar, Koramangala, HSR Layout and CV Raman Nagar, you can call them to book your appointment, and spot at their next event. They are also in Bellandur and Sarjapur on request, and at a higher price.